Sunnysnaps is a professional photography company specialising in Family Portraits, Event and Commercial Photography. We can provide this service in the comfort of your own home or out on location. We are based in Cambridge and cover the Counties of Bedfordshire, Cambridgeshire, Norfolk and Hertfordshire. Our aim is to create great memories that you can share, treasure and pass down through the generations. The Queens 90th Birthday was celebrated on Saturday 11th of June. The event was well supported by the community with adults and children of all ages in attendance, with the youngest being only a few months old to a 94 year old lady. Starting a 12:00 in the village hall behind the Hardwicke Arms with the screening of "Trooping the Colour and the Fly Pass". Food soon followed and there was plenty to go around, thanks to all the community bringing something along, it was truly a banquet fit for a queen The rain made a short but thankfully swift appearance for about 5 Minutes, then the Sun came out and it was just perfect. An afternoon of Fun and Games in the Arrington Village Garden followed with Sack races, Tug of War and Welly Wanging amongst others to entertain everyone. After the games, everyone headed back to the village hall for Tea, Roast Lamb and Music. I and, I hope on behalf of the rest of the Village would like to thank Deham and all the other organisers and helpers that made the day a huge success. Your local Sunnysnaps Photographer was there to record the days events. So take a look in the Client Gallery. The Arrington Village website can be found by Clicking Here. Was a great success with over 100 Classic vehicles on display. One vehicle that made a guest appearance was the EXOMars Rover 2018 Prototype, this had a lot of interest amongst the visitors. There was also plenty of activities, a Bouncy castle, Roundabout, Ring the Bell and Sack races, amongst others to keep the kids amused all day long. The show was opened by Heidi Allen - MP for South Cambridgeshire. and commentated on by Danny Hopkins - Editor of Practical Classics magazine. 1st. 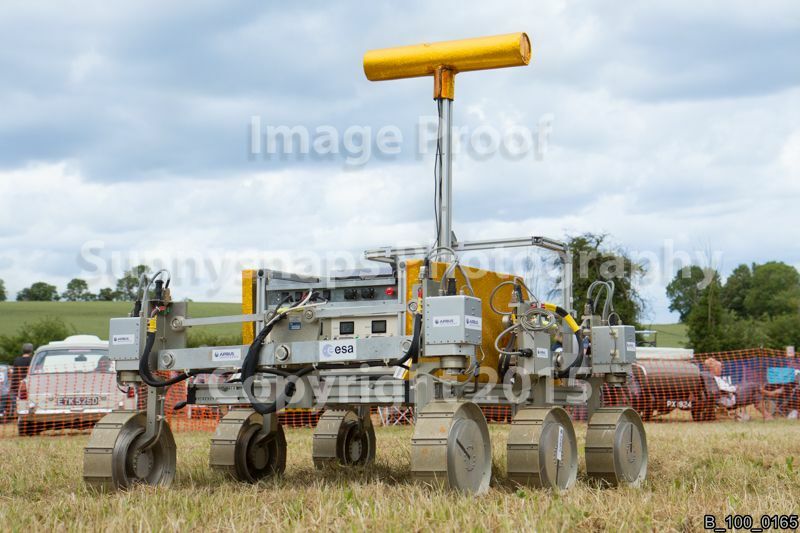 Airbus Space Division, Stevenage, EXOMars Rover, Non-Car prize, crate of beer. 2nd. David Widgers, Abbot Healey, Vicars Choice, The Mantles Prize Valet. 3rd. David Jones, Austin 7 Box Saloon, The People's Choice, A flight from local airfield. 4th. Alan Payne, Bullnose Morris, Danny's Favourite, Feature article in Practical Classics. The entire day was covered by Sunnysnaps Photography, so whether you was parading your vehicle, playing on the Bouncy Castle, or walking your dog. You may of been Sunnysnapped!. So take a look in the Client Gallery. Event Pictures can be found HERE. 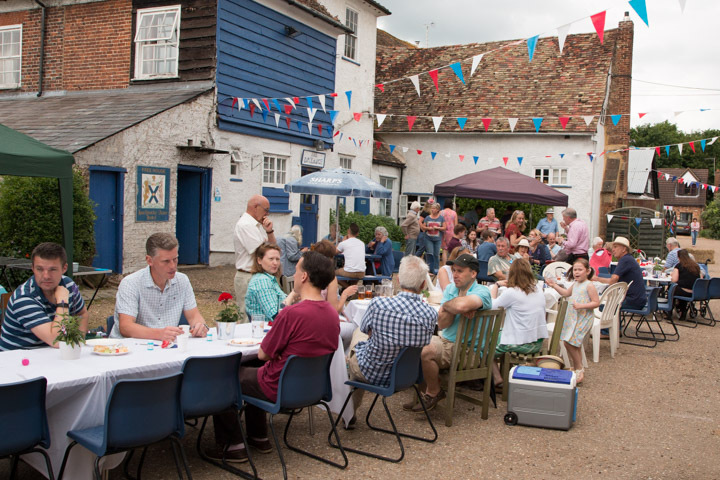 This years Arrington Village held a 2016 Street Party to Celebrate the Queens 90th Birthday. Visit the "Client Gallery" to view. This years Classic Vehicle Show will be held on Sunday June 21st. We will have the Exo Mars Rover on display as well as the usual excellent Jazz, we will have Sky West and Martin Kaszak from the Royston Folk Club. SunnySnaps Photography will be there to capture the unique moment. Visit the "Client Gallery" to view and purchase photos.